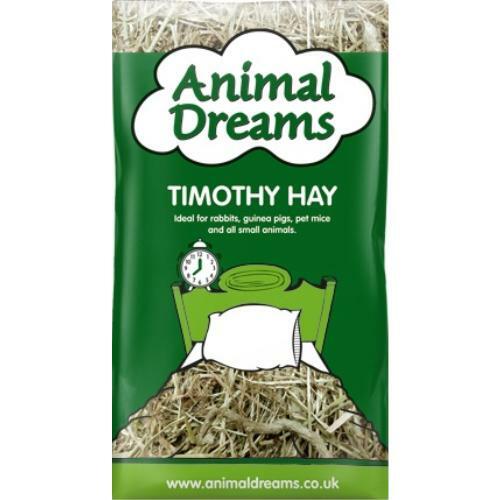 Animal Dreams Timothy Hay is high in fibre, low in protein and nearly free from pesticides which helps keeps your pets gastrointestinal tract functioning properly. This combination is important to health of Rabbits and other small animals. Timothy Hay is more suitable for adults due to its low calcium content. It is sun dried naturally, cured, hand sorted, greener and more smells better than most hays.